Rigid T-Connectors are designed using O.E.M. electrical connectors and 16 gauge wire for a safe, dependable connection between the tow vehicle and trailer. 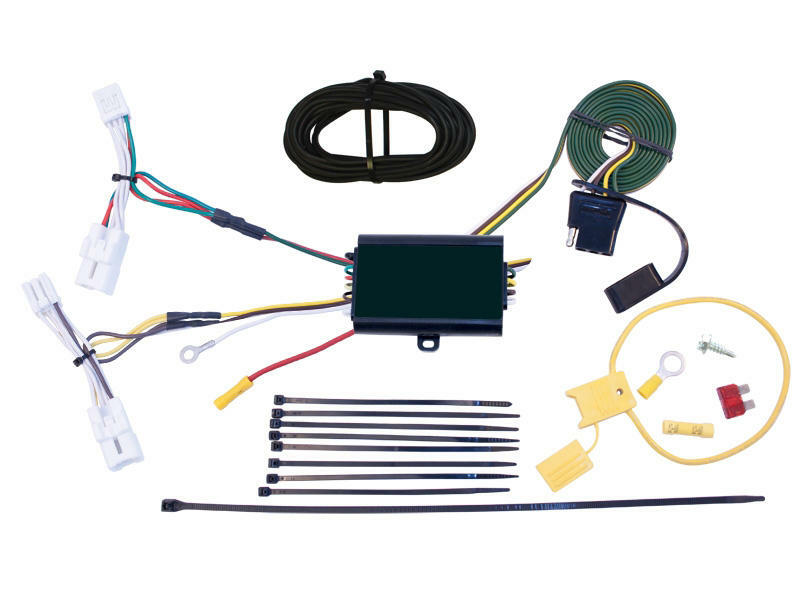 Simply locate your vehicle's wiring harness connector, unplug the connection and insert the T-Connector into the vehicle's harness. This model does require a separate power circuit to be run from the vehicle's battery to the T-Connector to supply power to the built-in powered converter. A molded 4-flat connector is included. This T-Connector is equipped with a powered tail light converter. Additional installation time required.